Enjoying a long hot soak in the tub is one of my favourite ways to unwind after a busy day, and I love trying out new bath products. 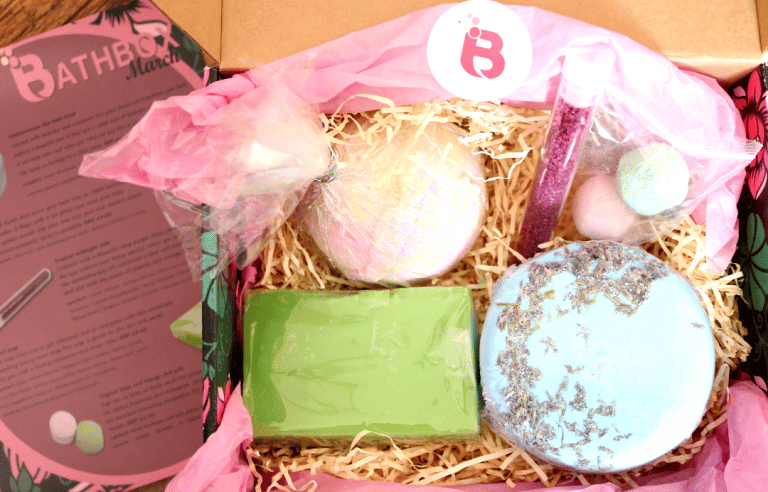 I was excited to come across a subscription box recently called Bathbox which (as the name suggests!) is packed full of bathtime goodies. 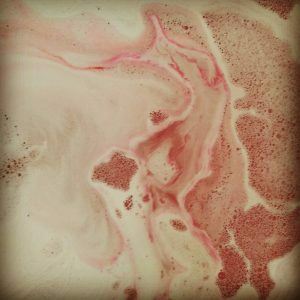 Delivered every month, Bathbox will send you a gorgeous selection of five freshly made bath products which could include items such as Bath Bombs, Solid Soaps, Bath Salts, Candles and more. 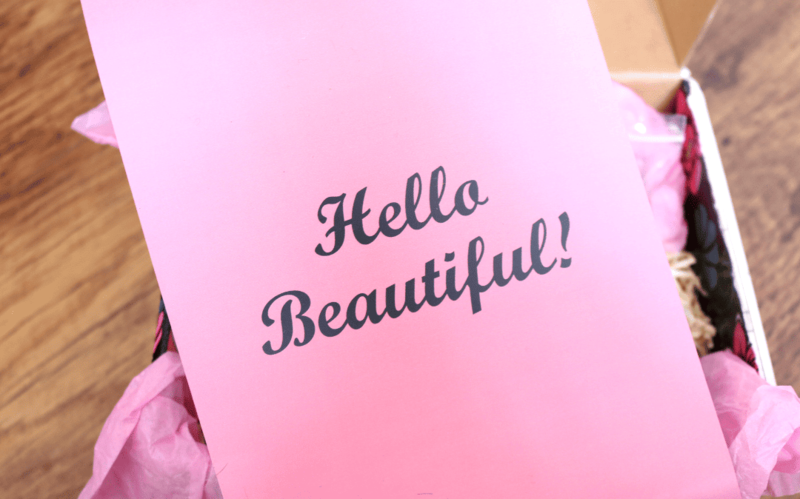 Everything arrives in a beautifully presented eco-friendly box that has a floral print on it, and the products are carefully packaged in pink tissue paper and lots of those paper strips to cushion them during transit. 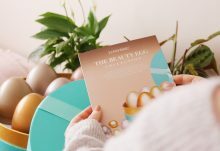 When I opened the box, I found a leaflet which details all of the products inside, as well as listing the full ingredients which I thought was really good, as so many companies don’t seem to bother doing this. 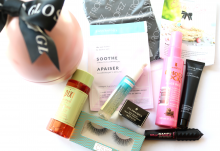 March’s Bathbox smells amazing, so let’s jump right in! 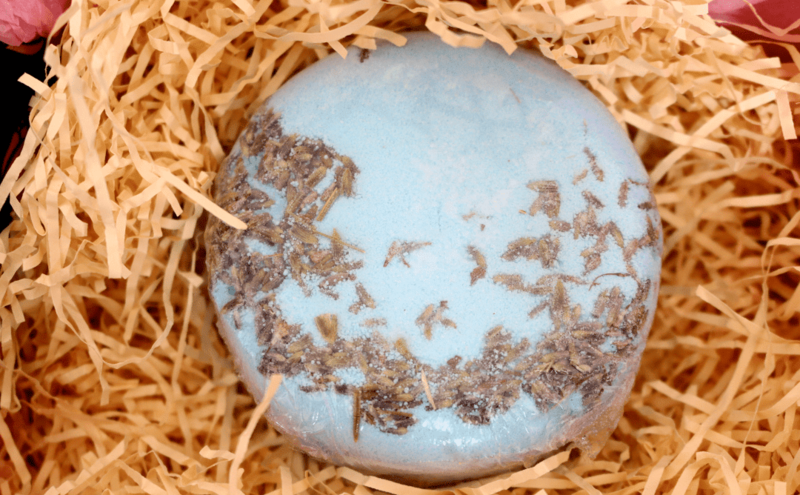 This bright blue bath bomb is quite possibly the biggest bath bomb that I’ve ever laid my eyes on – it’s absolutely massive! I’ve included two photos just so that you can get an idea for the sheer size of it and the thickness too! 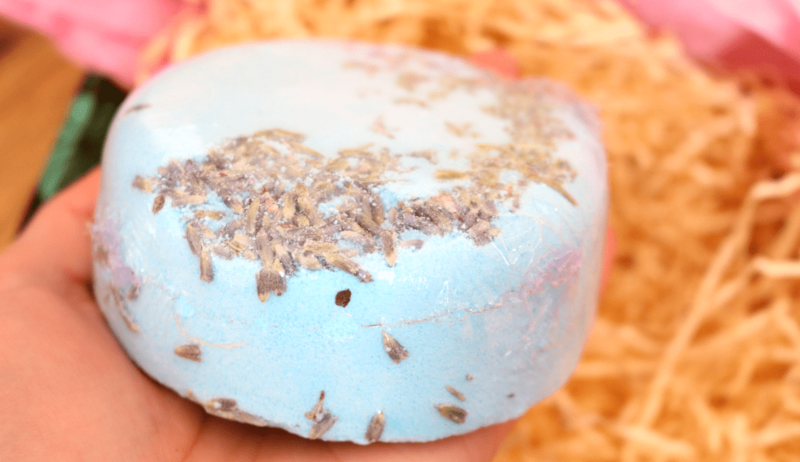 Scented with Lavender and Marjoram, this giant bath bomb is ultra-relaxing and the perfect product to reach for if you’re dreaming of a sunny holiday in the Med. It smells incredible! Next up, I found another bath bomb, this time a more ‘regular’ sized one, but it’s still pretty big! 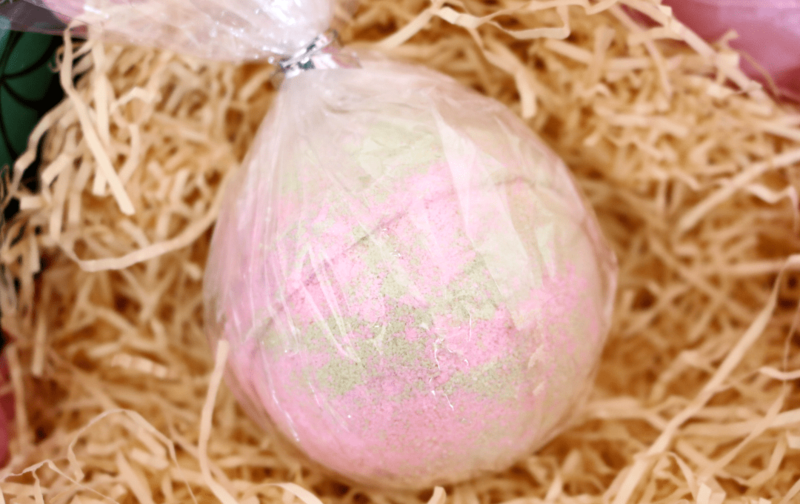 It has a lovely green and pink swirl throughout and smells very fresh and uplifting. On the leaflet it’s described as a ‘classically scented bath bomb’ and I have to agree – it reminds me of soap and spa shops all in one. This one fizzed up really well and made my whole bathroom smell amazing. 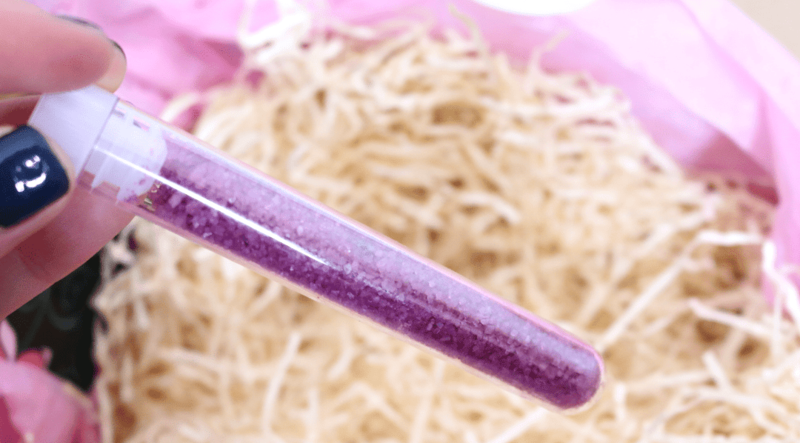 How gorgeous is that purple colour?! These Tropical Midnight Salts smell as good as they look and are infused with aromatherapy oils for a blissful bathing experience. I can detect a heady scent of Jasmine and some fruity Orange in this mix which makes everything smell like a tropical island. 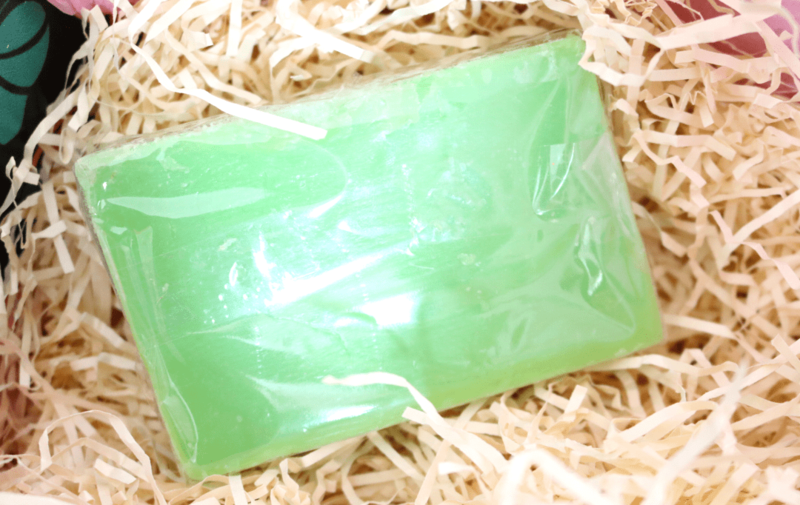 In contrast to all of the above products that are more on the relaxing side of things, this soap has a much zingier and refreshing scent of Mint, which is perfect to use in the bath or shower first thing in the morning to help wake you up! It lathers up a treat and makes my skin feel nice and soft afterwards. The last product that I found in March’s Bathbox is a packet containing two interesting sounding ‘chill pills’. 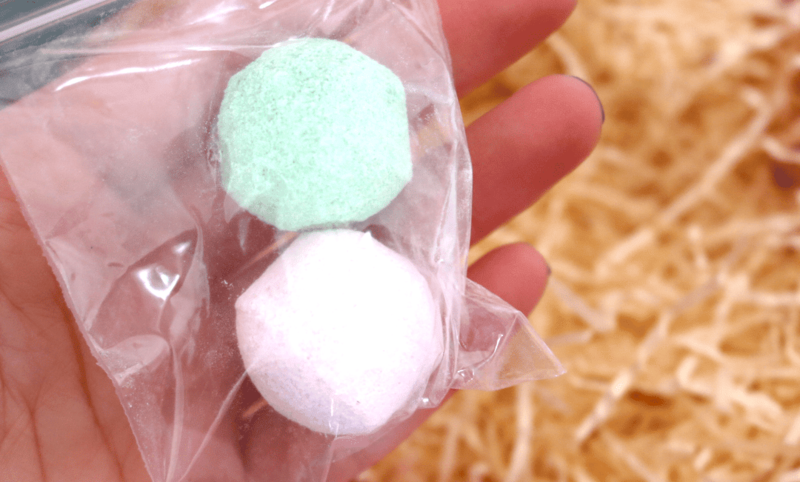 These mini bath fizzers might look small, but they really pack a punch in the scent department and can be used with your other favourite products for a refreshing and relaxing boost. Ideal for travelling with too. I really enjoyed trying this Bathbox - it's an affordable way to treat yourself every month if you love baths like I do! How would you rate Bathbox ?